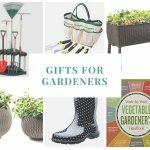 The first day of spring is Wednesday — I am so excited! 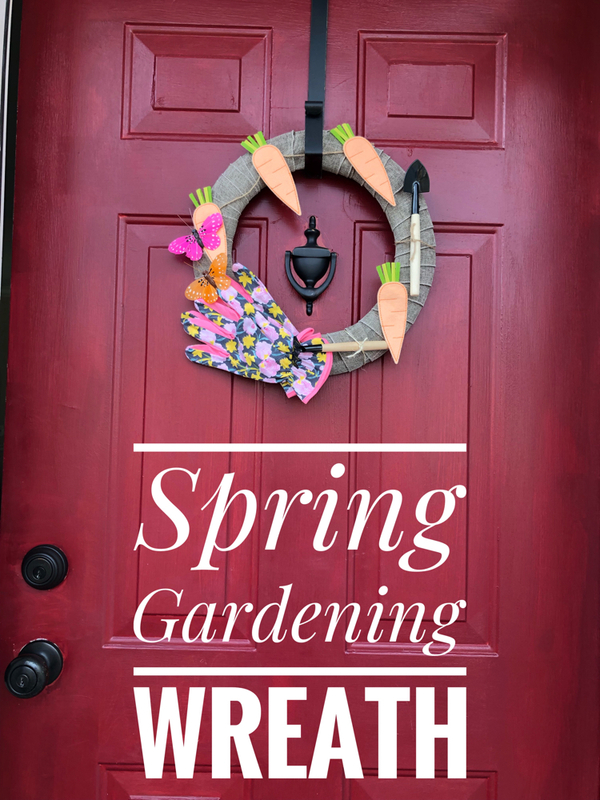 Today I am sharing an easy and inexpensive spring gardening wreath that I crafted for my home’s front door just last week. This wreath is so simple to put together — it only took me about 30 minutes tops to make it. 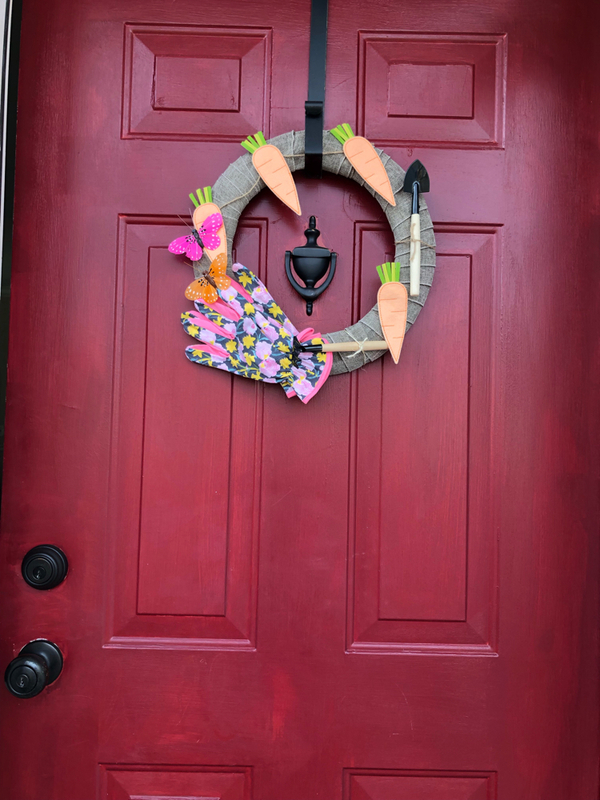 Seeing my new garden wreath on my front door really puts a smile on my face. I can’t wait to start digging in the dirt! I am sharing this wreath as part of the Monthly Craft Destash Challenge. 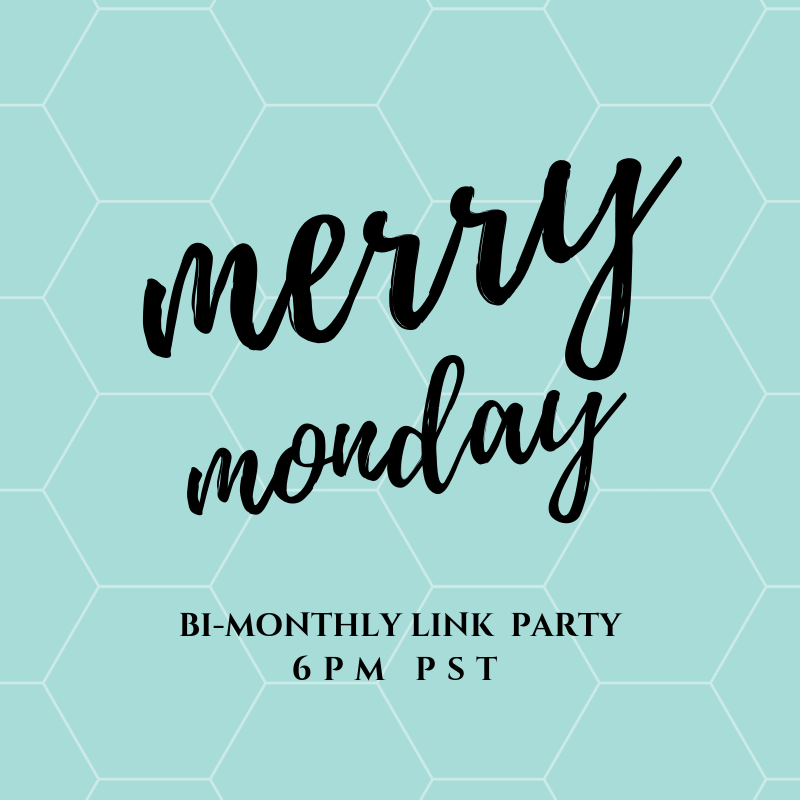 The challenge, hosted monthly, challenges my blogging friends and me to use some of those craft supplies piling up in our craft rooms! 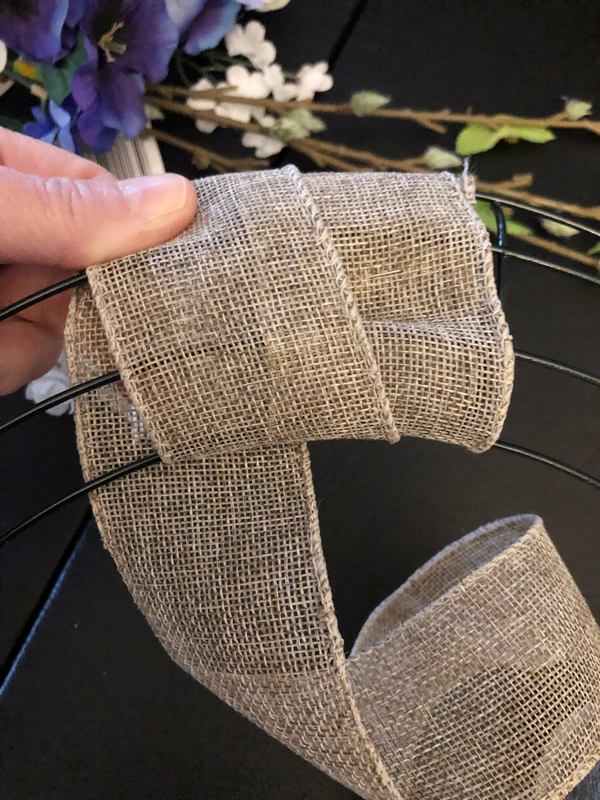 The saved materials that I used for this craft include a metal wreath form (this form was once the base for my pom pom wreath), some burlap ribbon and some twine. The dollar spot at Target was my inspiration for my spring gardening wreath. 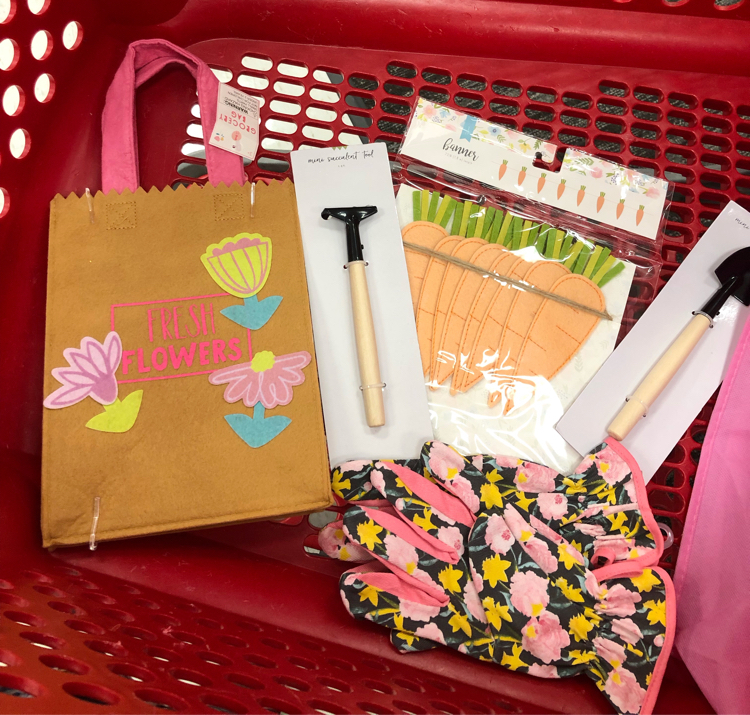 I regularly browse the dollar spot for craft supplies when I shop my local Target. 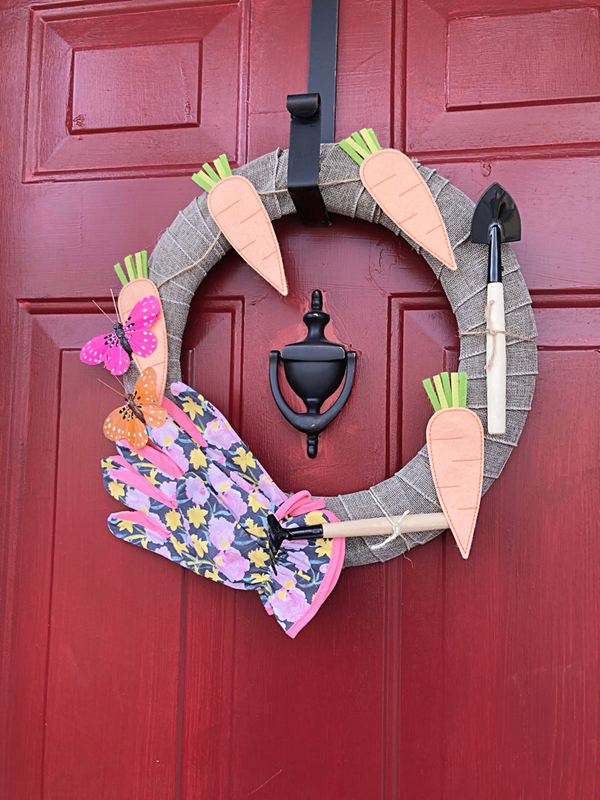 At the spot I found cute mini gardening tools, floral gardening gloves and a carrot garland that I used for my wreath. I was going to hang the sweet gardening bag in the center of the wreath, but it turns out I like the wreath better on its own. To get my wreath started, I simply wrapped a spool of wired burlap ribbon around the wreath. After I had the metal wreath form wrapped in the wired burlap ribbon, all that was left to do was hot glue on the decorative elements. I hot glued the gloves on the bottom of the wreath to serve as a pseudo bow. 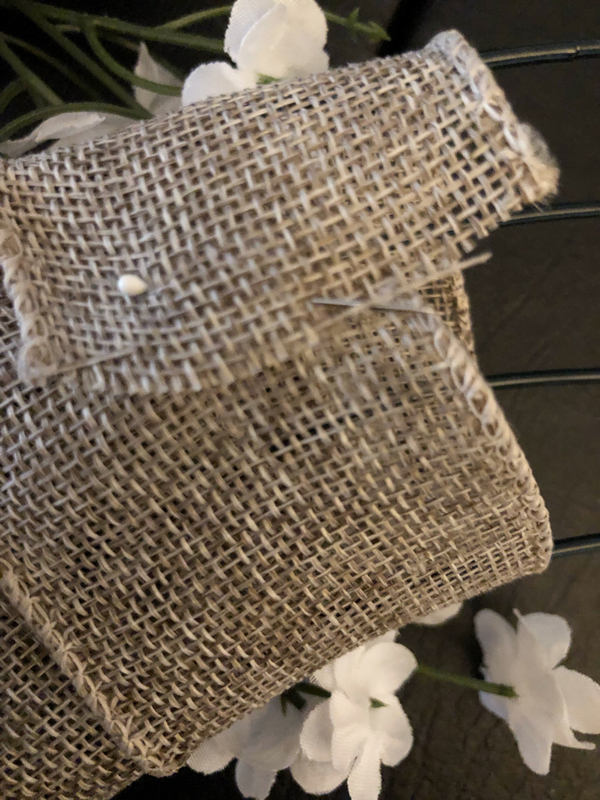 The butterflies — which I got at the dollar store — were on long picks, so I simply slipped those in between the folds of the burlap to secure them. I hot glued the garden tools on, but I also secured them with some twine because of their weight. I shortened the carrot banner and hot glued it across the top of the wreath. I hot glued an additional carrot onto the bottom of the wreath. My wreath was complete! 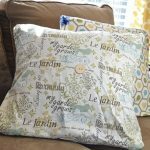 Be sure to check out my friends’ Craft Destash projects below! 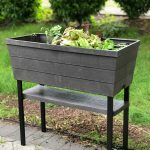 This post was shared at Homestyle Gathering. That’s really sweet and very Spring like! I love how you reused your wreath base and just added a few new bits and pieces. Okay, this is so cute and adorable. I love the miniature tools. 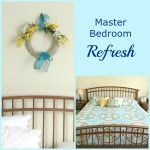 Wreaths are some of my favorite projects so I have definitely pinned this one. Lauren, this wreath is so neat and the best part is that you was able to make space in your stash since you used some of your old things. I love the theme of your wreath. 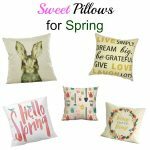 Such a pretty Spring inspiration. The challenge seems fun. 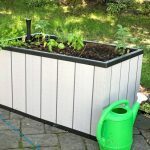 Great challenge idea! SUPER cute, Lauren! Love the easy instructions, too. Thanks for sharing at Homestyle Gathering! This is really cute! I might have to make one for my mother-in-law!